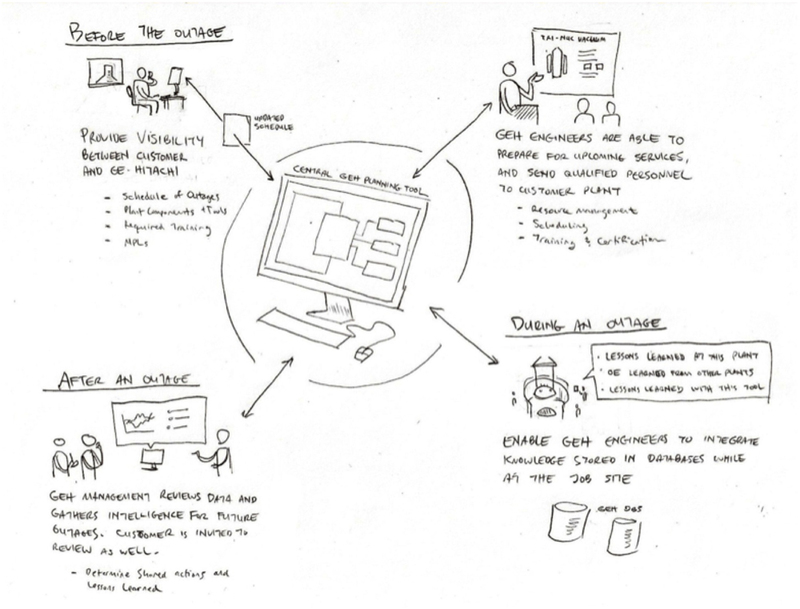 The ideation exercise before the solution comes into existence can benefit significantly from visualization. Note that the most instinctive action while brainstorming is to go to the whiteboard and start sketching out ideas. It helps crystallize your intuition as well as bring the rest of the team into the debate. And that sketch then becomes the pivot that everyone alludes to as they advance conceptual ideas. And the sketch itself becomes like a mirror – making commonplace thoughts or one’s with logical gaps jump out at you. If your business is counting on the rollout of new solutions then why not visualize them in the best way possible. And while these beta thoughts are far from publishable to the marketplace there is still a big sell that needs to be packaged – you need your management team, the finance department (you want budget right?) and the rest of the company excited about the next level of innovation. 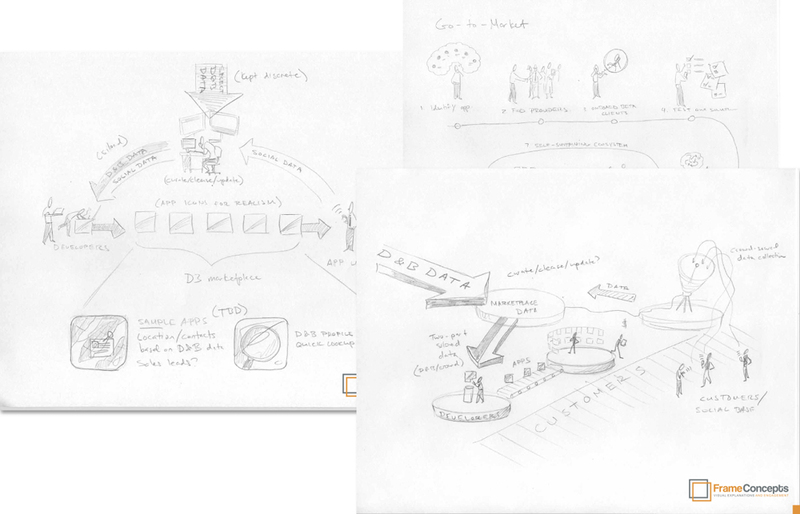 And for signing up beta customers, these initial concept sketches can be package so you can get your first trial customers onboard with you vision. It’s a New Idea Right? – By definition if you bringing your company and your marketplace into new conceptual territory you need bring them into your framework. Connecting the Dots – In that fuzzy ideation mode you need to get a tight, cohesive picture of how the idea will come into reality especially if it’s a complex or nuanced offering. 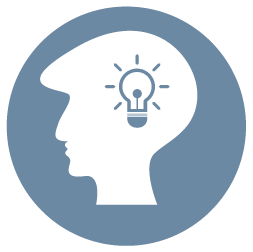 Getting Your Team Onboard– You need to push the best idea (and reject the bad ones) with your team and refined pictogram will drive the right vision through. Getting Management and Employees Onboard – It may be internal buy in but there is a “sell” going on – the best ideas can go by the wayside if not packaged correctly. 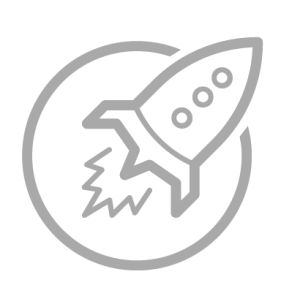 Beta-Clients Need to be Onboarded – Before you have made full commitment to a production run and marketing packaging, your beta clients have to get the point. Show Them You Care – The fact that you so carefully visualize your new offering underscores your care and rigor you have put into the ideation process and shows them you value your audience’s time. 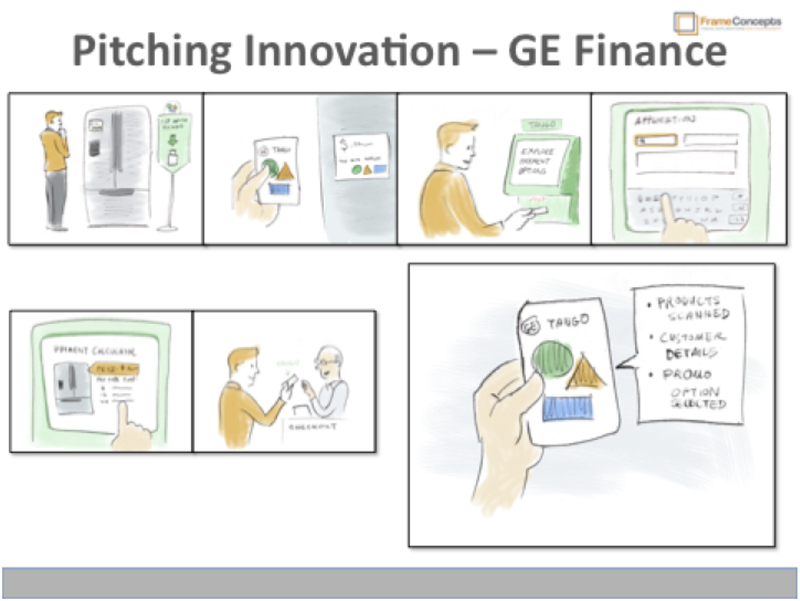 GE Finance wanted to make the credit approval process with consumers in big box retailers more transparent and easy to follow. 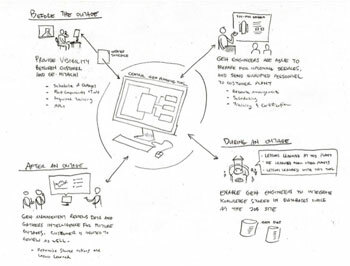 Frame Concepts supported the ideation process and client buy-in by storyboarding use cases for each alternative idea in context. D&B has long cornered the market on businss ratings with the ubiquitous DUNS number. The question became how can they roll out more profitable offerings while keeping true to their unique financial date roots. 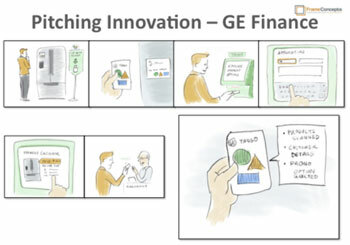 The idea as shown in these initial ideation sketches was to roll out startups that integrate and deliver value around their DUNS number offering. Frame Concepts had developed some innovation visualization tools for the Spare Parts Management program and now the topic turned to the outage process for a nuclear reactor. How could everyone in the organization come to terms with staffing the outage with the relevant accredited technicians, up to date repair tools and the requisite spare parts so that the outage process goes smoothly. 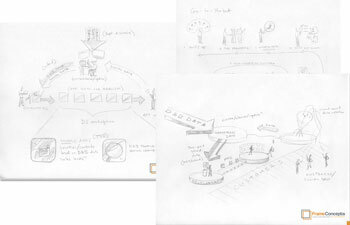 First the idea has to be crystallized as shown in the following ideation sketch.